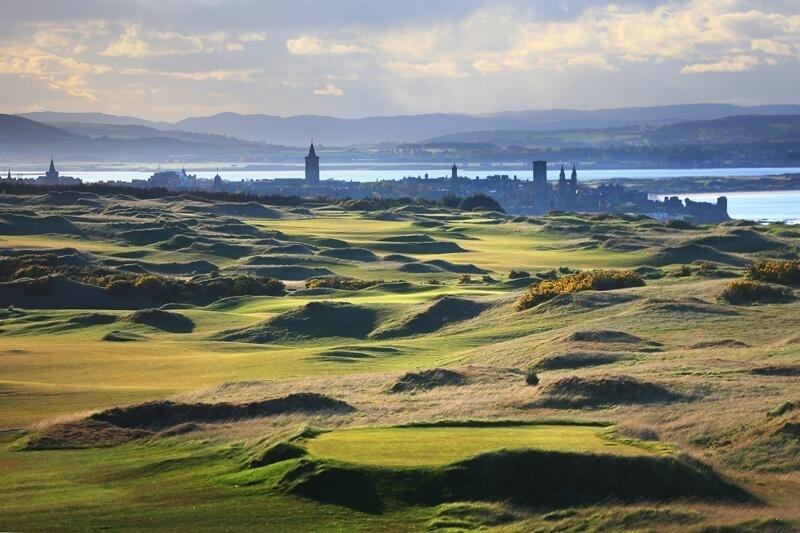 Known as ‘The Home of Golf’, St Andrews is the most famous and desired destination in Scotland. Along with the iconic Old Course, there are over 40 different golf courses in St Andrews & Fife area. 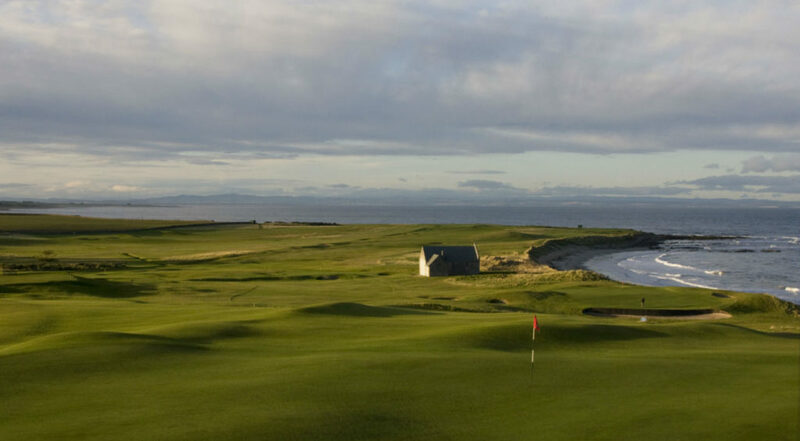 Below are our top picks for golf in St Andrews & Fife. Crail dates back to the late 1700’s and is acclaimed as one of the oldest clubs in the world. In 1898 the famous ‘Old Tom Morris’ re-designed the original 9-hole layout into 18 holes. In-fact, the course has remained mostly untouched even until today. Measuring under 6000yds from competition tees, The Balcomie Links is certainly not the longest golf course you will play in Fife. However being exposed to the elements on the shores of the ‘Firth of Forth’ can turn even the shortest golf holes into card wreckers. 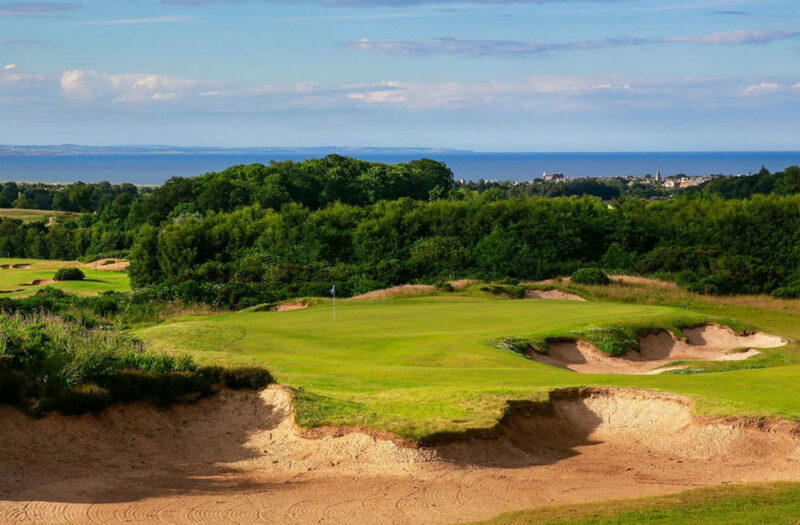 Balcomie Links is a fun and beautiful course along the East Neuk that you’ll want to play again and again. The Duke’s Course is owned by The famous Old Course Hotel and is located a few miles from St Andrews. It is also, in fact the only non-links course in St Andrews. The Duke’s Course was designed by 5 time Open Champion, Peter Thomson and was opened in 1995. The course spans over 7’500 yds off the back tees, however the multiple tee boxes make the dukes playable for golfers of all levels. Not only is the course protected by its length but the meandering fairways are tree lined. In addition, expertly positioned bunkers are there to catch you out and well protected greens make this a wonderful challenge of golf. The 13th hole is stunning Par 4, which provides breathtaking views over the ‘Auld Grey Toun’ of St Andrews. 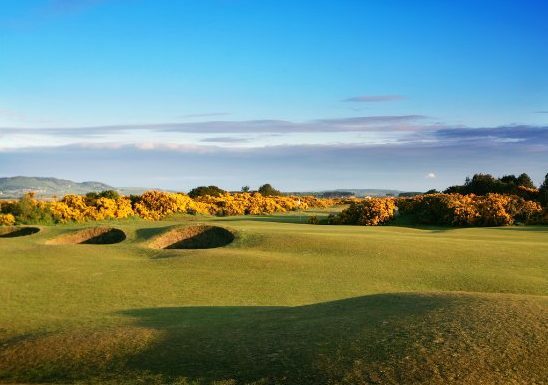 If you are looking for a change from links golf then The Duke’s is a must play in St Andrews. Golf dates back to the late 1500’s at The Golf House Club Elie. With that, it is a course that is steeped in history and uniqueness. In particular the first hole and one of Elie’s signature holes is a blind tee shot. However a periscope that was removed from HMS Excalibur is used to look over the hill to make sure the group in front is well out the way. 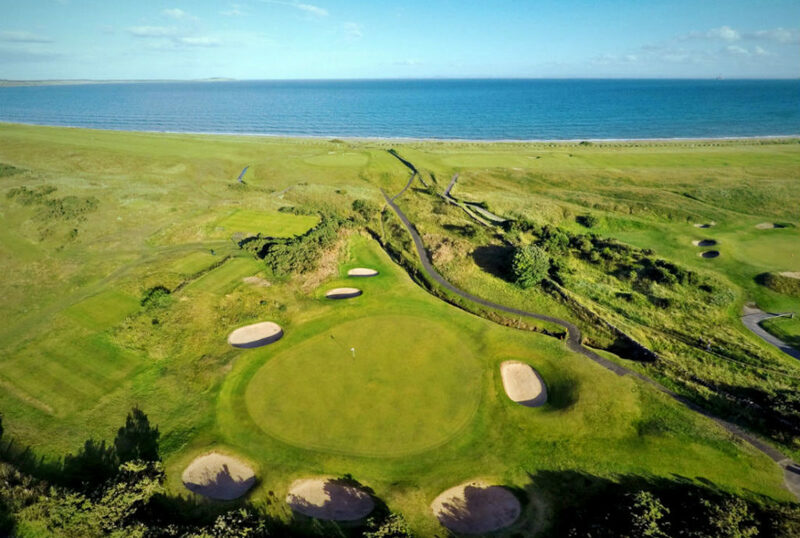 Mid way through your round you can enjoy sea views across to Edinburgh and East Lothian on a clear day. Elie has no Par 5’s and only 2 Par 3’s but the 16 Par 4’s on the course offer. Therefore the course offers much variety and enjoyment to all golfers. For instance, Peter Thomson, winner of five Open Championships, calls Elie a jewel amongst Scotland’s elite courses. “It’s quirky and it’s the most enjoyable course I know”. So if you enjoy a bit of history and you want a real test of golf then The Golf House Club Elie is the ideal place to golf in Fife. The 520 acre five star Fairmont Resort encapsulates luxury, elegance and truly breath-taking surroundings in the ‘Home of Golf’. It is a unique and special venue with its peaceful setting and stunning cliff top views of St Andrews and the North Sea. Above all the resort prides itself with an array of fantastic facilities including two championship golf courses, the Torrance and Kittocks. Torrance Course, Fairmont or St Andrews Bay as it was called when first opened in the 1990’s. The great Gene Sarazen and Scottish golfing hero and course namesake Sam Torrance designed the course. The demanding course pushes out over 7’200yds from the back tees. And, it certainly offers the golfers very much a risk/reward style of golf. Specifically, many holes are superbly protected by strategically placed bunkering, undulating horizon greens and clever run off areas. Players who do want to take the risk will have to have many golf shots in their armoury to score well. The Torrance Course has hosted many top golfing events, in particular, The Scottish Senior Open on a number of occasions. The Kittocks is a slightly shorter course than its neighboring Torrance. It stretches out just over 7000 yds but this Par 72 includes a number of tee boxes. Therefore meaning all levels of golfers can enjoy the course. There are a couple of man-made lakes that the course navigates its way around. Before you are then faced with some magnificent views across the Eden Estuary and the ‘Auld Grey Toun’. The Kittocks is a great addition to any golfing trip. 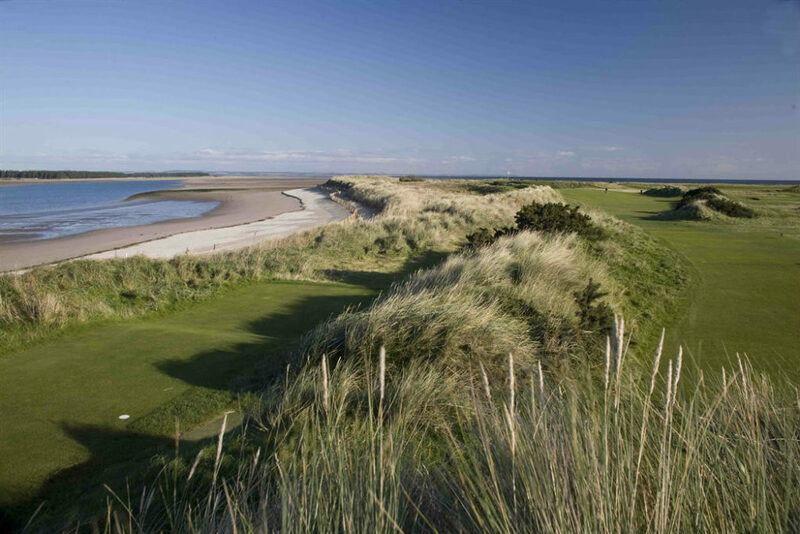 Kingsbarns Golf Links is located 6 miles along the coast from St Andrews, Fife. It is considered the jewel in the crown of American course architect Kyle Phillips. Although Kingsbarns only opened in 2000 the course layout makes it look and feel as though it has been there for centuries. 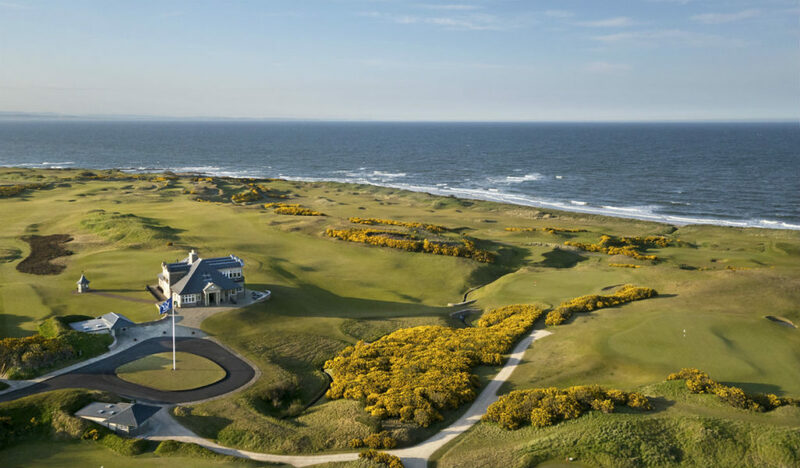 Set on this stunning piece of coastline Kingsbarns Golf Links has won many awards. Thus, the course is consistently voted as one of the top links courses in the world. The course has a fascinating selection of tough par 4’s, reachable par 5’s and picturesque par 3’s. 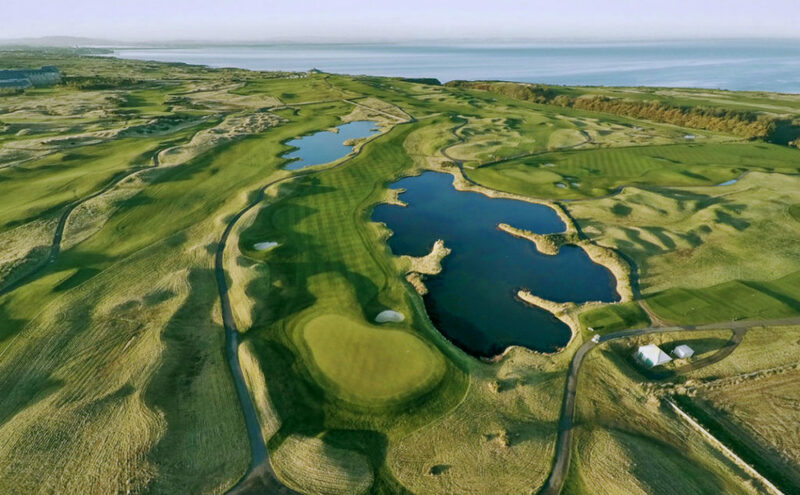 In addition to the wonderful golf, players can enjoy stunning views of the North Sea on almost every hole. Kingsbarns Golf Links is also no stranger to elite golf events either. The Alfred Dunhill Links Championship is played here every autumn along with Carnoustie and The Old Course. Kingsbarns also hosted The Ricoh Ladies Open Championship in 2017, which was won by Korean In-Kyung Kim. Although the green fees at Kingsbarns are some of the highest in the country, it is without a doubt one of the greatest golf courses you will ever play and a must for any bucket list. 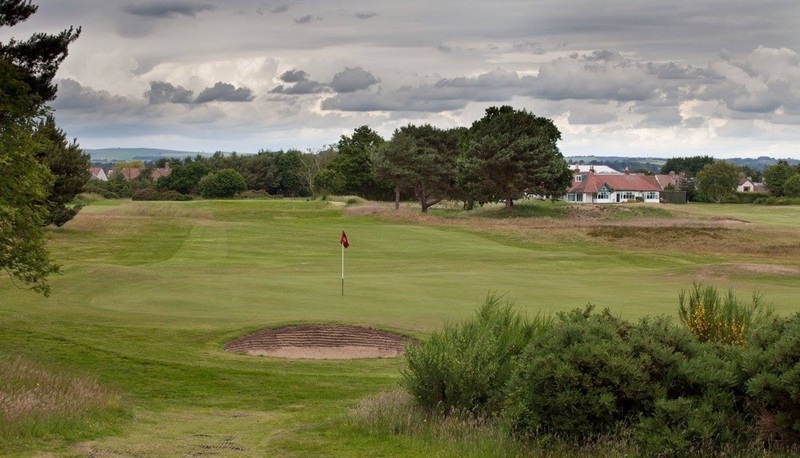 Another excellent golf course in Fife, is Lundin Links, located only 10 miles south of St Andrews. Founded in 1860 when course designer Tom Morris laid out the traditional 18 hole layout. The course offers many problems to the budding golfer such as blind shots, burns & Out of Bounds. Furthermore many tricky bunkers and some tough winds from the Firth of Forth, also present a challenge. At a smidge over 6’300 yds this Par 71 is a huge test for any golfer. It is one of those courses that the player understands their strategies the more times they play it. If you do have the chance to play this track, the iconic 14th hole is a Par 3 from an elevated tee and boasts some breathtaking views. So much so James Braid called the hole ‘Breathtaking”. This hidden gem of a course also plays host to Open Qualifying when the event is held at St Andrews. The club was founded in 1817 and is claimed to be the 20th oldest golf club in the world. It is another course in the area that plays host to Open Qualifying when the event is at St Andrews. Scotscraig is a heathland course with a links feel to it and measures over 6’600 yds. This Par 71 is very much a thinking golfers golf course that requires accuracy rather than length. Control of your golf ball is important here with gorse and heather are ready to catch wayward tee shots. Rolling fairways and clever bunkering that protects each green means every shot must be given full attention by all. 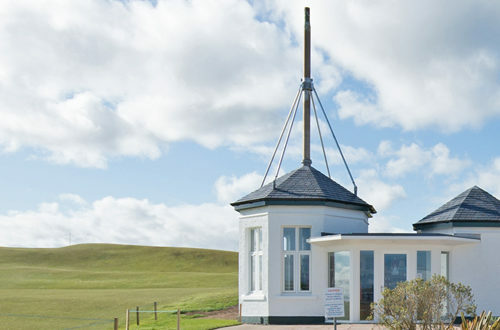 We highly recommend the Scotscraig Experience which includes a tour of the 120-year old clubhouse & a round of golf. Your day is finished with a 3-course Scottish meal and a whisky or gin tasting. Certainly a fantastic day for any golfer! The Castle Course is the newest member to the St Andrews Links portfolio of courses. Even though only Opened in 2008, it is fast becoming a favourite amongst locals and visitors alike. Set on a cliff top to the south of the town, this 6’579 yd Par 71 offers challenges to golfers of all levels. The Castle Course boasts strategic bunkering, huge undulating greens and spectacular views of the ‘Auld Grey Toun’ of St Andrews. The marquee hole is the Par 3 17th, which forces you to play around 180 yds over a rugged bay to a tricky green, which is usually into the prevailing wind. However, take a minute to enjoy the wonderful view looking back towards the town. The Castle Course is open for play between March and November. Each year and like all St Andrews Links Courses, advanced reservations are recommended. The Jubilee Course was built only a few years after the New Course. To begin with, it was portrayed as a course where ladies and beginners could learn the game. Throughout the years it has been moulded into another Championship Links, which lies between The New Course and the sea. At over 6’700 yds, this Par 72 is often viewed as the toughest course out of all the St Andrews Links courses. Although on the same piece of land, the course differs by not having shared greens or fairways unlike the New and Old Course. There are a number of elevated tee shots, which require you to hit down through narrow fairways guarded by the dunes. The Par 3’s are some of the most challenging you will find on any links course layout. In our opinion The Jubilee is a must play for anyone looking for a real golfing test on the links. The course is available for play all year round and advanced booking is essential during the busy season. Neighbours with the famous ‘Old Course’ The New Course is certainly ‘New’ to the area. Built in 1895 by Tom Morris, the New Course was added to the Links. This was to provide another option for golf for the town’s folk over the increasing popularity of the Old Course. Stretching out over 6’500yds, this Par 71 has similarities as The Old Course. Including shared fairways and double greens that will test all areas of a golfers armoury. In addition there are narrow rolling fairways protected by dunes and gorse pushes, strategically placed bunkers protecting greens and putting surfaces with subtle slopes. Had this course been on any other piece of coastal land anywhere in the country, it would be seen as a real marquee course. However it will always be in the shadows of famous ‘Old Course’ of which it shares its land with. The New Course is available for play all year round and advanced booking is essential during the busy season. The Old Course is without a doubt the most famous course in the world and is always ranked amongst the elite courses. The Open has been held here a record 29 times since 1873. Dating back to the 12th century, this ancient links is steeped in history and tradition, giving it the name as the ‘Home of Golf’. St Andrews is often referred to as the ‘golfing mecca’ with its plethora of world-class golf courses. The Old Course is modest in length stretching to around 6700 yds. However, what it lacks in distance certainly makes up in character. From the moment, the starter announces you onto the 1st tee in front of the R&A Clubhouse, even the most confident of golfers feel nervous. The Old Course has many quirks such as shared greens, which incidentally if the hole numbers are added together equate to 18. Strategic bunkering, some of which are not visible from the tee due to the ancient layout of the course. As well as a series of tough par 3’s. 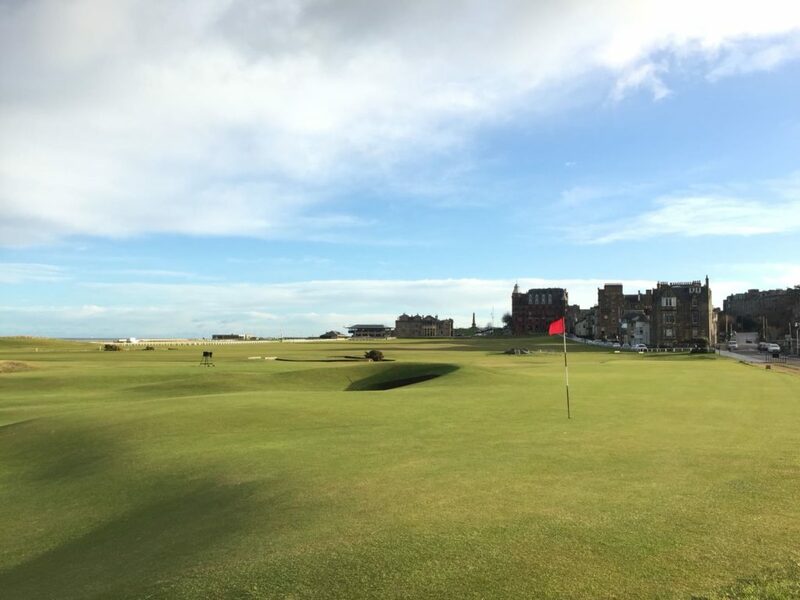 The Old Course does boast the most iconic finishing stretch of holes, instantly recognizable to any golf lover. 16th is a tough par 4 heading back towards the town with out of bounds right. 17th, ‘Road Hole’, is considered as one of the toughest par 4’s in golf with a blind tee shot over the corner of the hotel. Then finishing on the 18th, playing back through the town as you take a walk over the famous ‘Swilken bridge’. Expect a few claps along your way as there are always spectators enjoying the sights. For more information on the various ways to secure a tee time on The Old Course please click here. 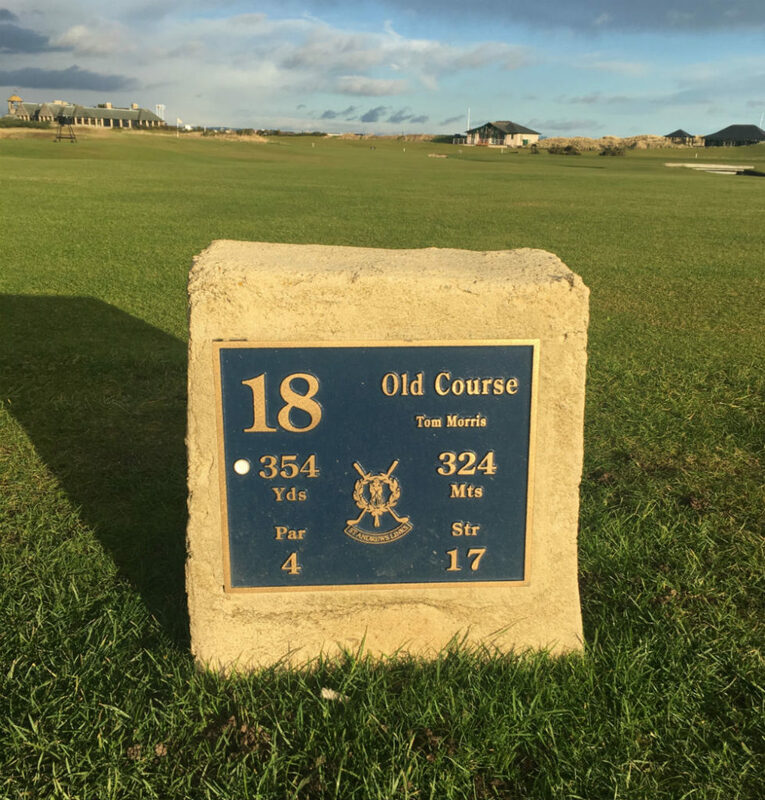 If you like the look of these courses and would like to experience golf in St Andrews & Fife, we recommend our St Andrews Tour, Golf Fife Tour & Exclusive Use Golf Tour Package, Hawkswood House. Alternatively, please let us know if you wish to play any of the courses above and we will include them within your customised golf tour.